Seashell 180 Degrees Awnings are unique and are like no other awning available. The retractable 180 degrees seashell awning is incredibly strong, protects your property or business from the heaviest rain and the most dangerous heat as well as being an amazing asset, looking great from any angle. You can leave your awning open all summer and winter, with no posts needed or close it for the beautiful perfect day not affected by any weather. Structures by Design proudly bring Melbournes best Retractable Pool Roofs, custom made to fit your pool. A great asset to your pool area – Retractable Pool Roofs keep your pools clean and safe. It is easily controlled by a push of a button and can accommodate for all seasons. Now you can enjoy your pool whenever you like – without worrying about if it is too cold or too late! Retractable Pool Roofs look fantastic and is a must for this year. Looking to have a Retractable Pool Roof created, look no further. Structures by Design are Melbournes go to company for all Retractable Pool Roofs. Motorised Retractable Roof systems are suitable for use in any weather conditions. 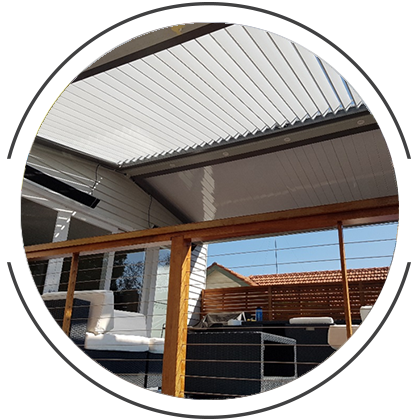 Whether you are looking for a Motorised Retractable Roof System for residential or commercial purposes, we can help create the perfect custom made roof system to meet the needs of your home, business property, needs of a restaurant, bar or commercial project. Looking to get a retractable awning installed? Great idea. Structures by Design are Melbournes go to company when it comes to Shade Sail Installations and retractable awnings installation. Retractable awnings are great, unique and easy way to protect and shade your windows and patios with any frames or posts in the ground. You will find that they are compact and very stylish but at the same time able to cover and protect a large area of your deck. Retractable awnings are found and common for pool areas, balconies, patios, cafes and restaurants, it makes your outdoor space look amazing while protecting and any area below it is free from obstruction. Canopy awnings are the best for your shop or home front, they are designed and installed to be low maintenance and long lasting and at the same time creating an amazing look protecting your property at the same time. 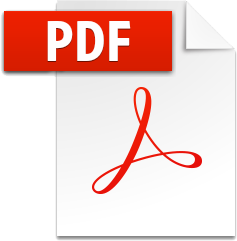 There are variety of ways to have a Canopy awning protecting your windows, doors or shopfronts. Make your business stand out from the crowd and get a Canopy Awning installed to protect your property for years to come. If you’re looking to adding an amazing and modern to your property Operable Louvres is what you should get. 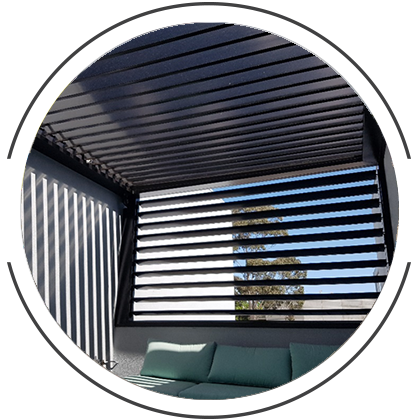 Louvres systems can be installed indoors and outdoors and can be designed and installed to be fully responsive to all weather conditions as well as maximise airflow and protecting the indoors from the weather, as well as reducing noise. A Louvre Opening Roof is an amazing asset and add on to compliment any surrounding. You can enjoy your summers day with a little bit of shade and then you can enjoy the stars but quickly protect yourself during a sudden shower. Similar to our Shade Structures, Louvre Opening Roofs are a premium high-end product but are well worth it due to their long life span, impecable modern design and practicality factor. 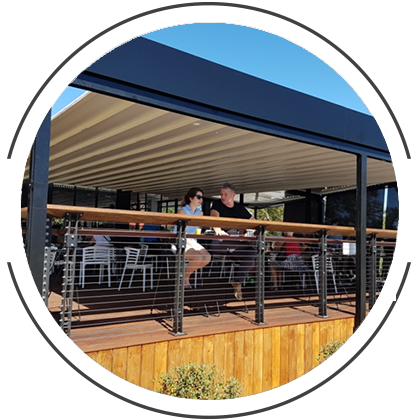 Structures by Design are Melbournes Number 1 Company when it comes to Shade Sails and Louvre Opening Roofs, call us now – you won’t be disappointed. Our Louvre Aluminium Roof System is suitable for both domestic and commercial settings, with motorised operation and rain sensor as standard. Motorised louvres, which can include wind and rain sensors, are perfect for your home. Retractable roofs are also very popular and, like the louvre roofs, can totally enclose an area and essentially create another covered space. Fixed louvres is another option that we offer to block out unwanted views.